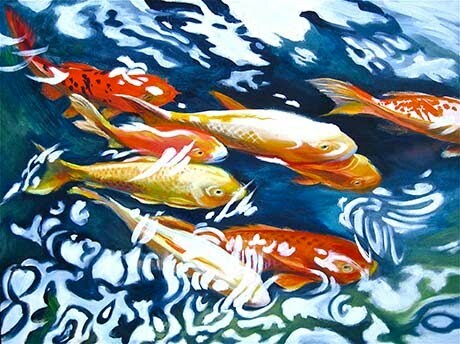 Bridget Hardenbrook is a painter of oils, acrylics, and watercolor. She is a graduate of San Jose State University’s Graphic Design/Illustration program. She worked many years with motion computer graphics doing artwork and animation images for government and commercial firms.